Make travelling a fun affair for your little princess by gifting her this lovely trolley bag. This printed bag looks appealing and is made from a high-quality material for added durability. 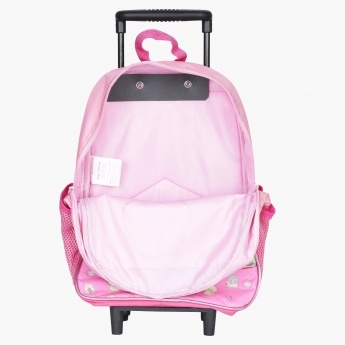 It can be converted into a backpack to fulfil the travelling needs of your little princess.